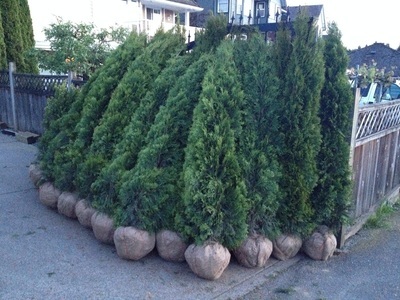 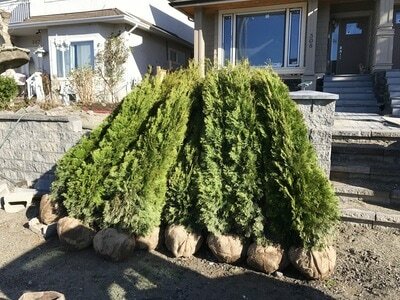 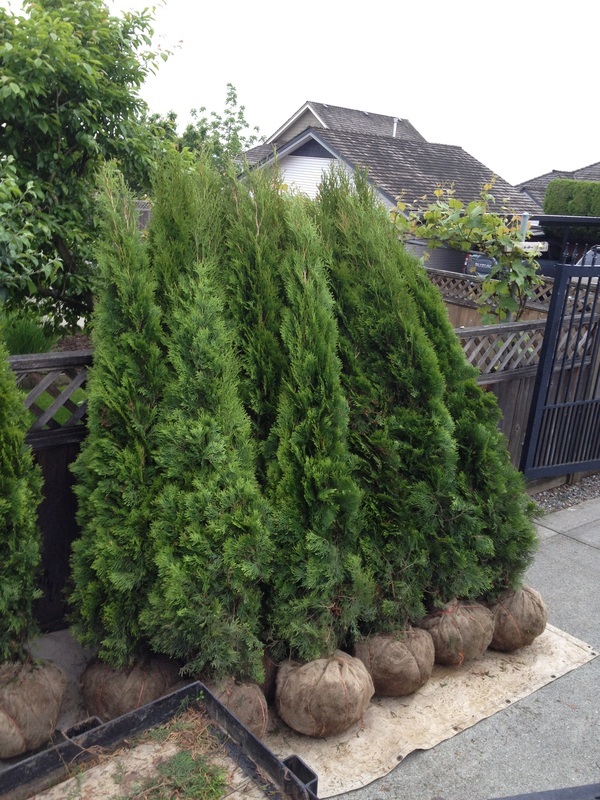 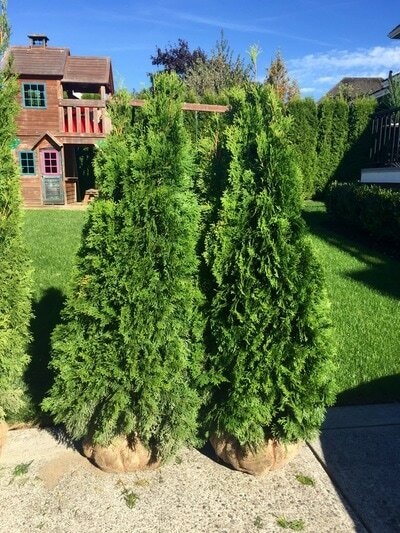 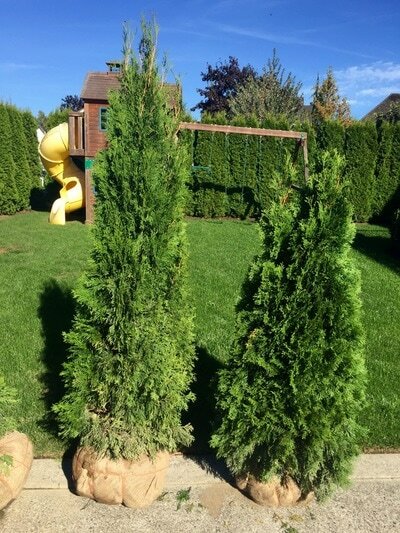 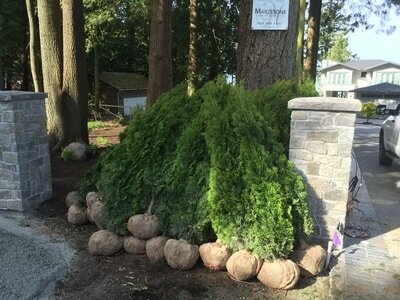 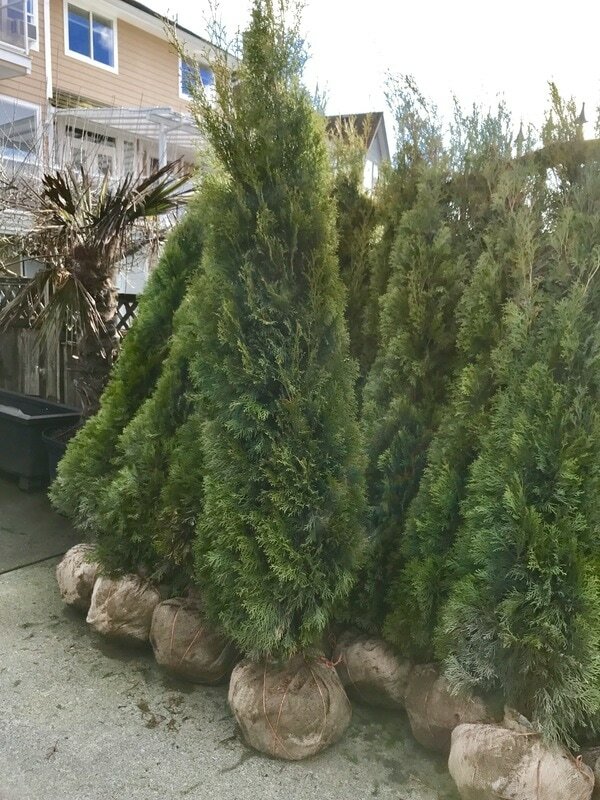 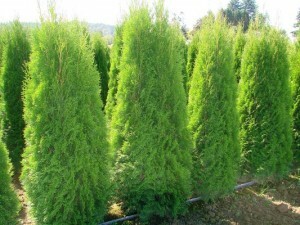 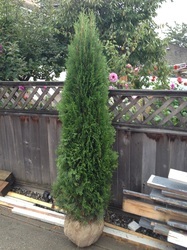 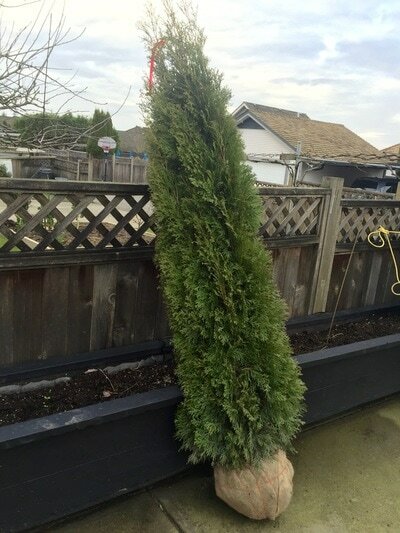 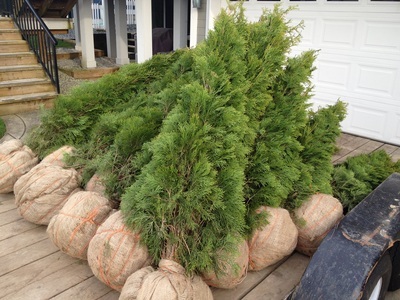 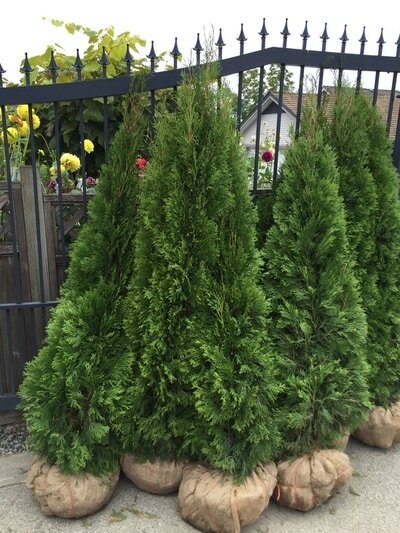 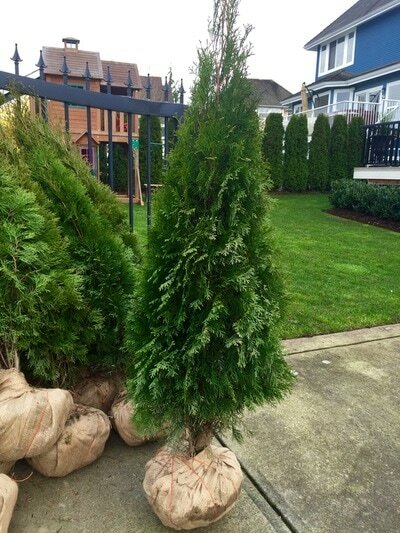 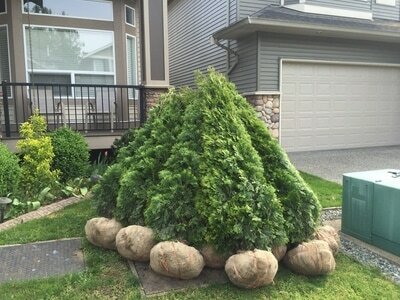 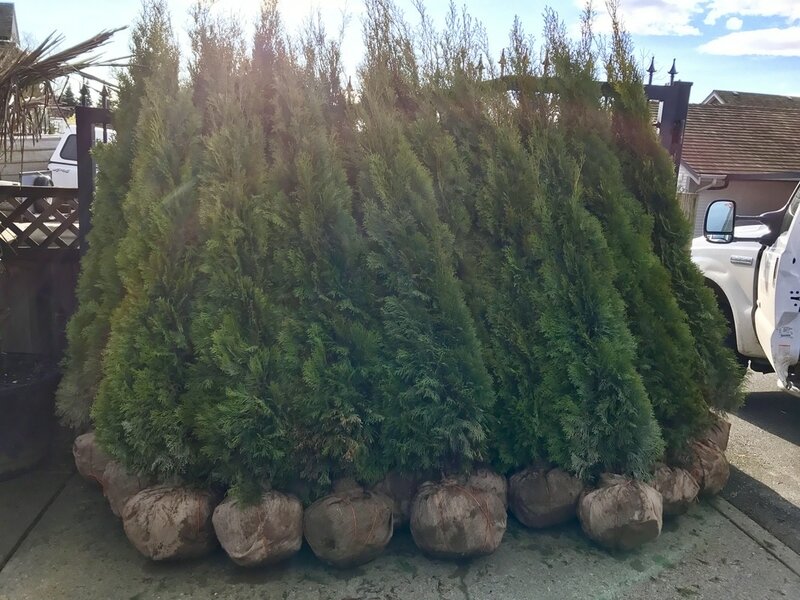 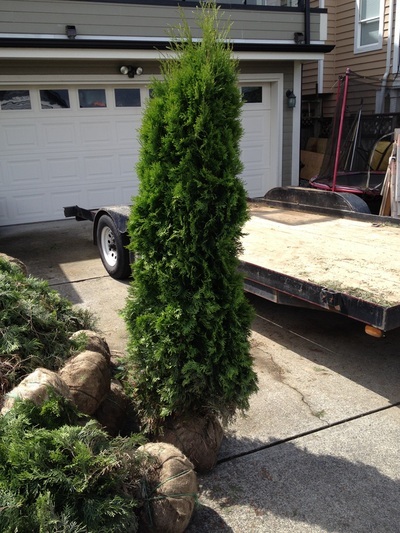 Emerald Cedar is probably the most frequently used hedging shrub in North America and is loved for its crisp texture and bright, emerald green foliage. When grown in-field the emerald has a sharp, pointed tip that can be trimmed when transplanted to promote side-growth that can eventually be trained/trimmed into a privacy-wall. This plant can be kept to a height of 4 feet or can be left to grow to a height of about 15 feet, eventually spreading to a width of 4 – 5 feet if you let it, and growing about 12-14 inches per year. 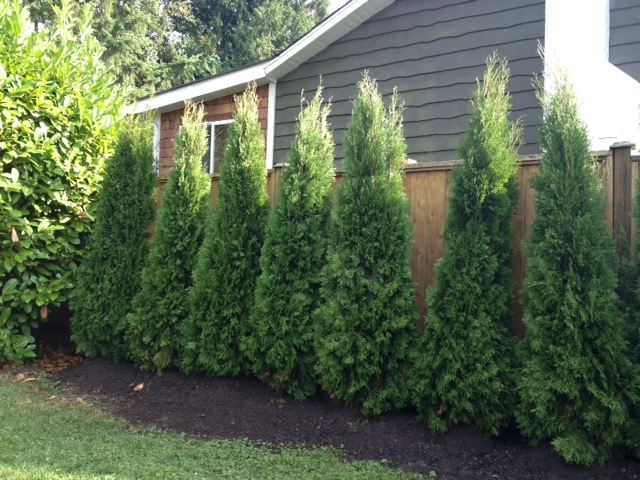 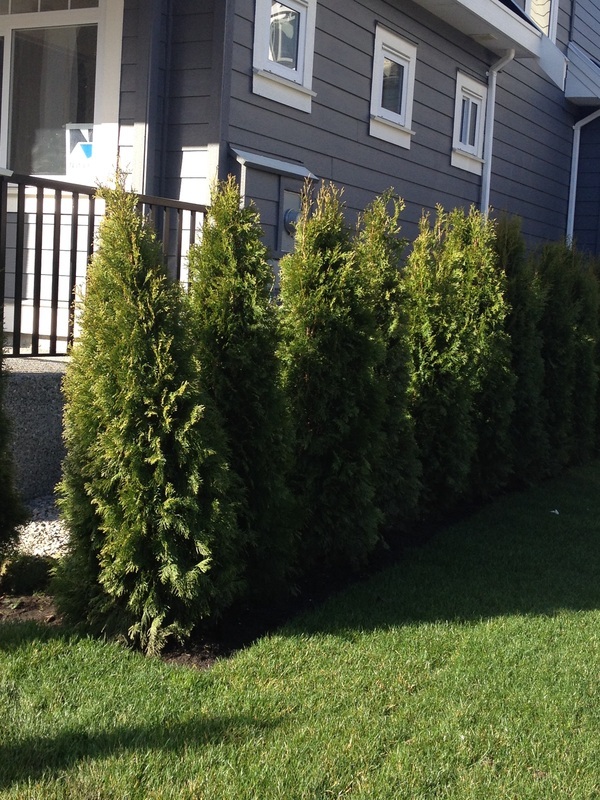 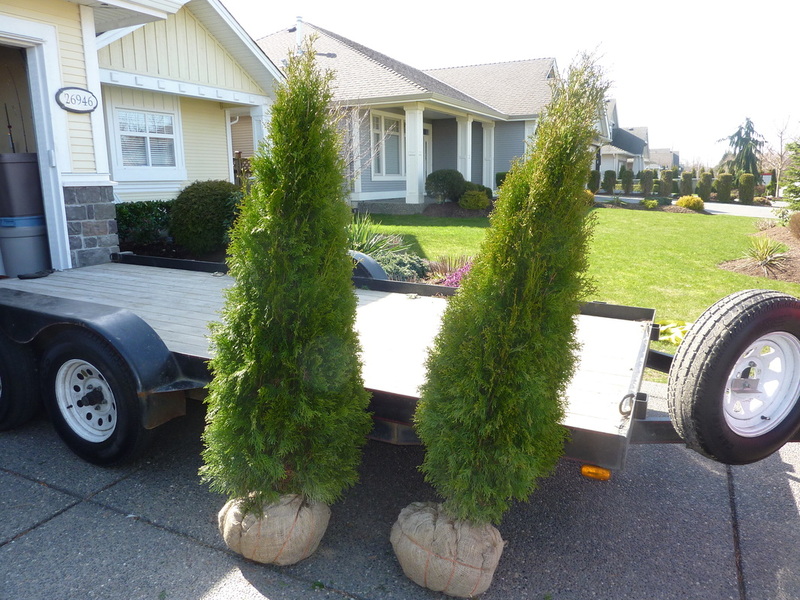 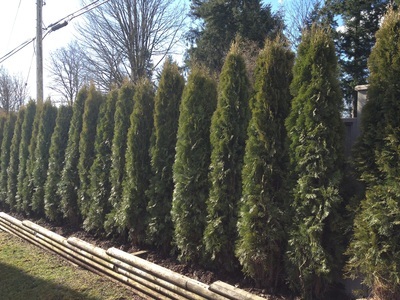 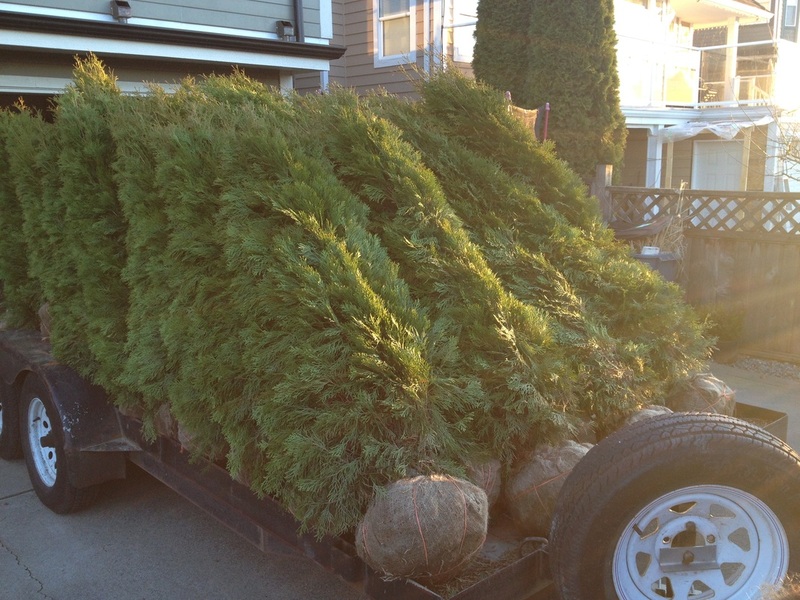 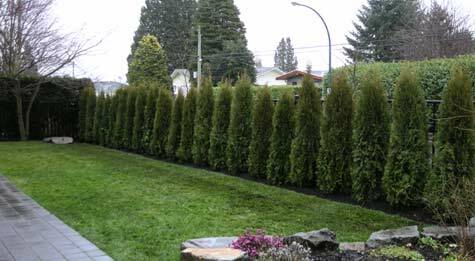 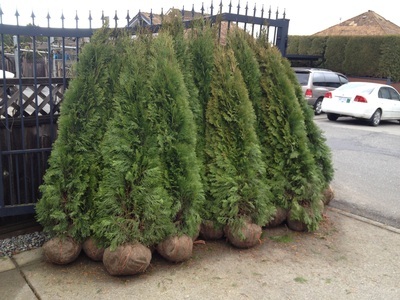 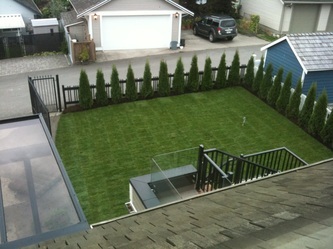 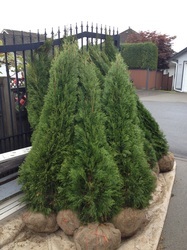 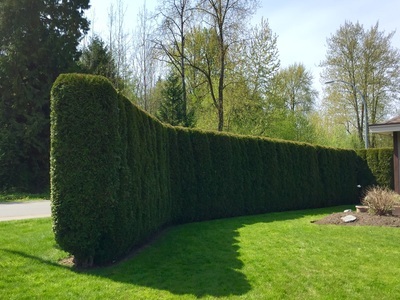 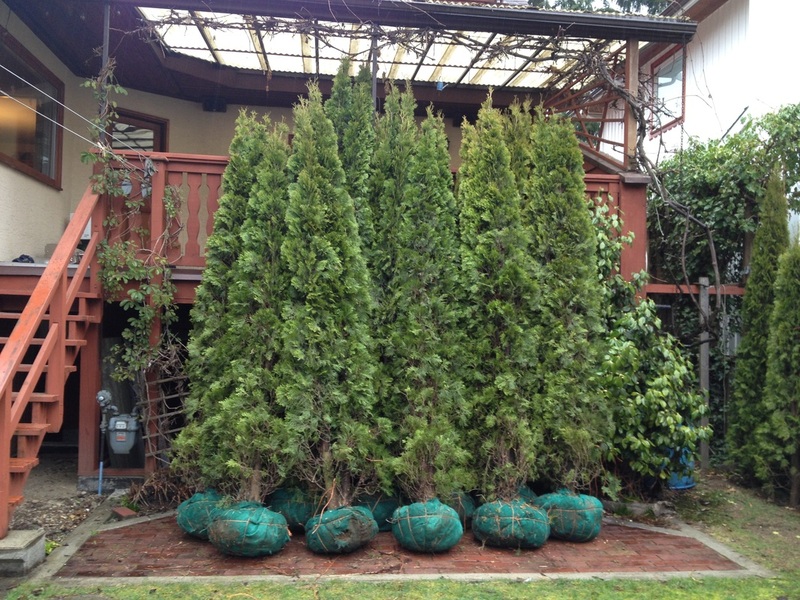 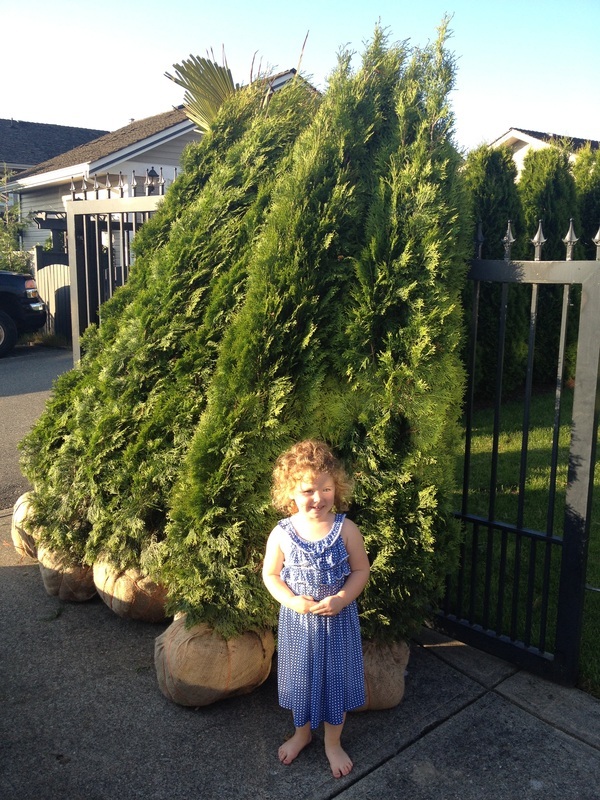 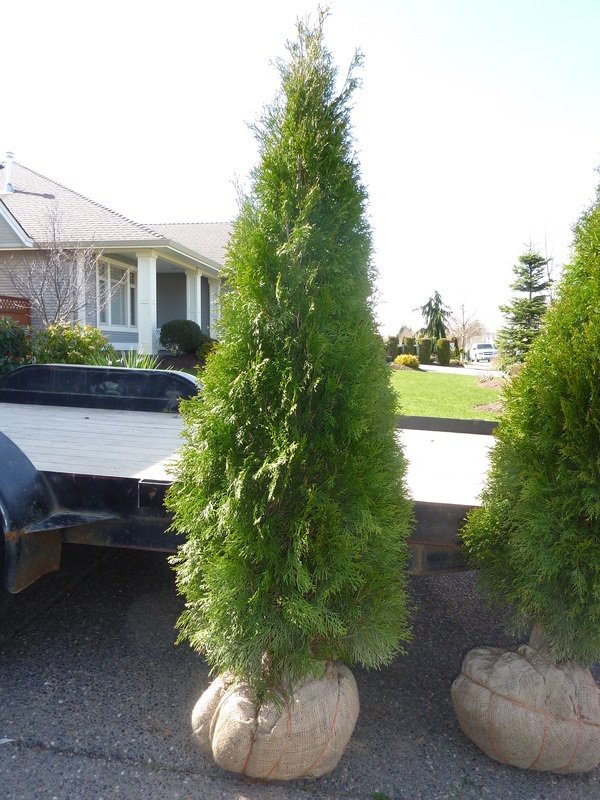 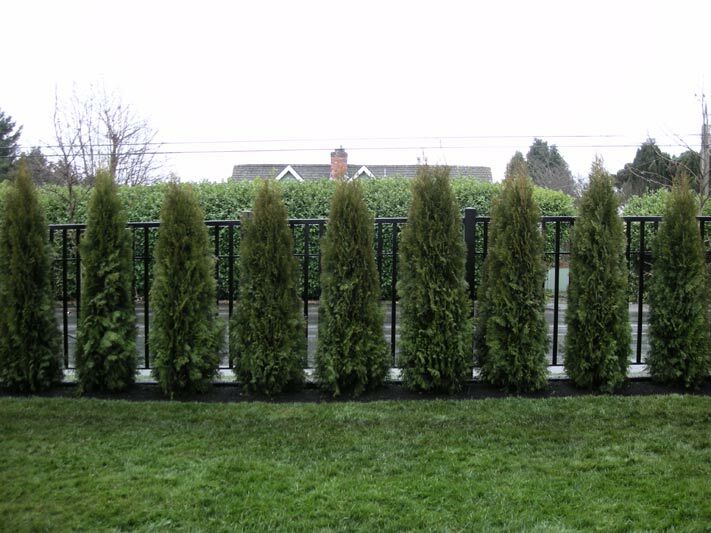 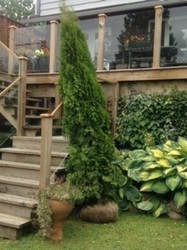 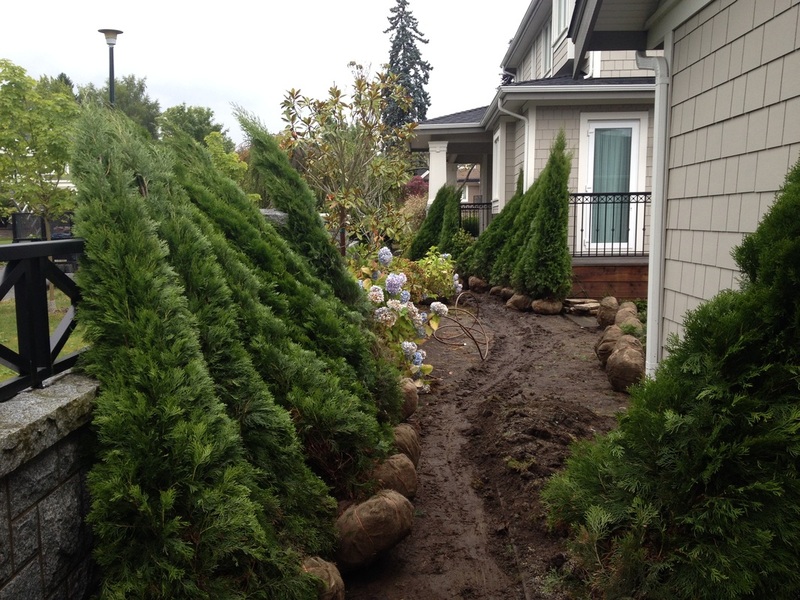 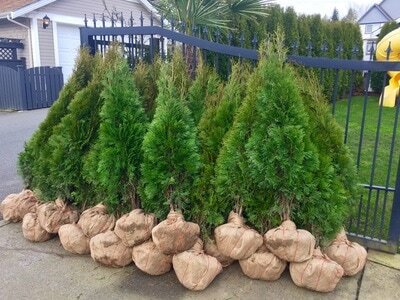 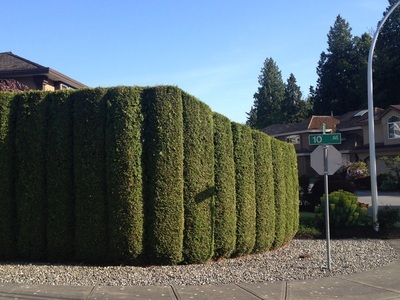 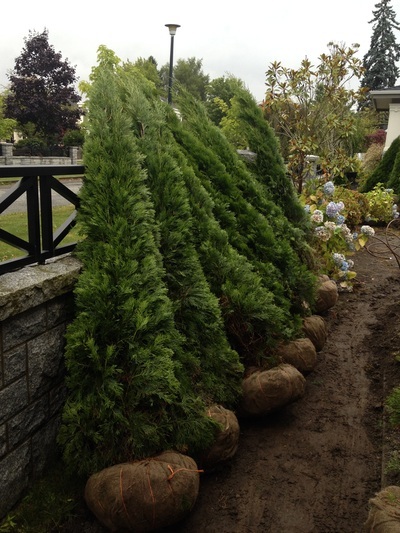 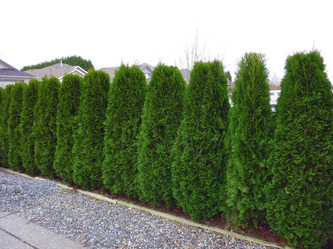 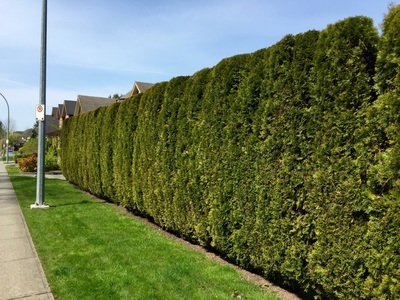 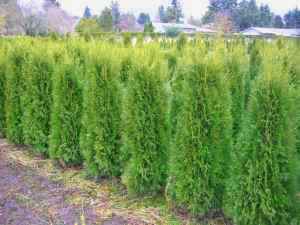 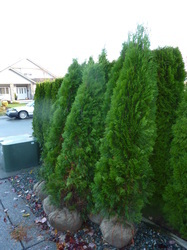 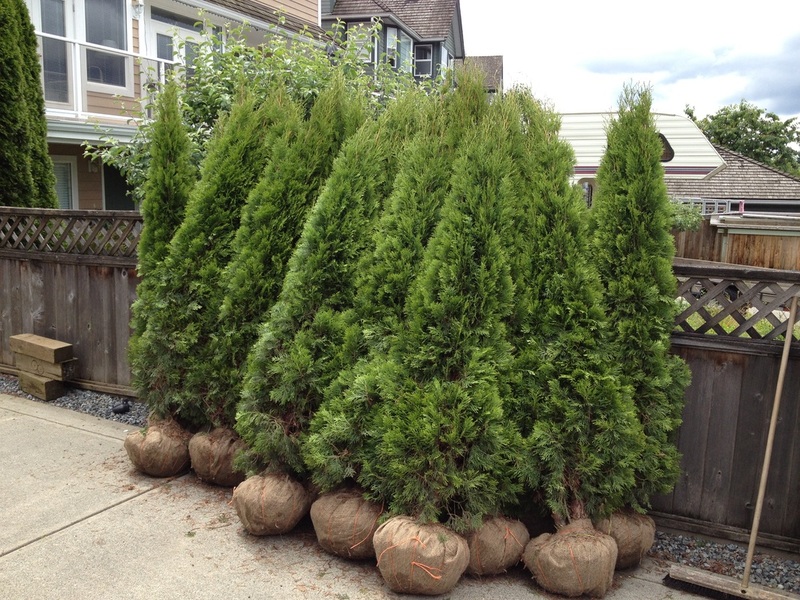 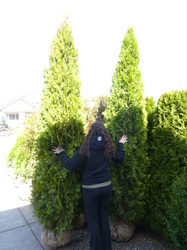 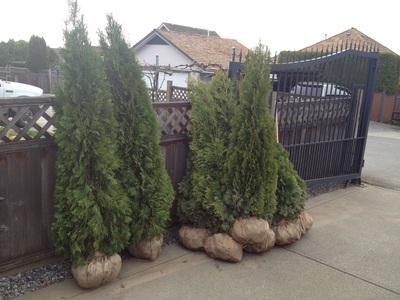 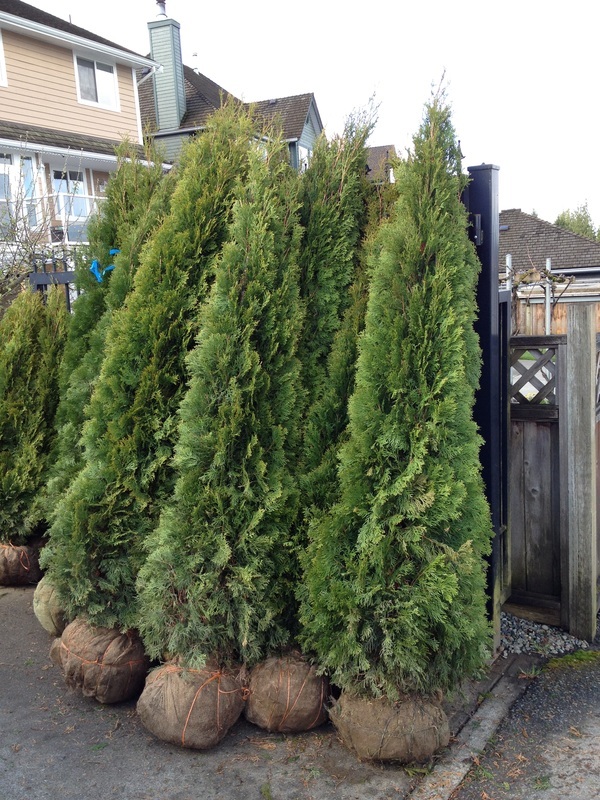 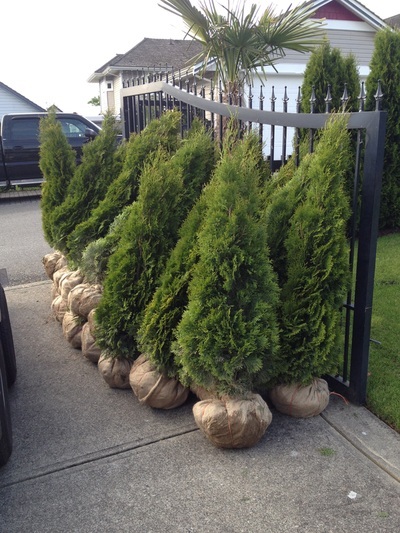 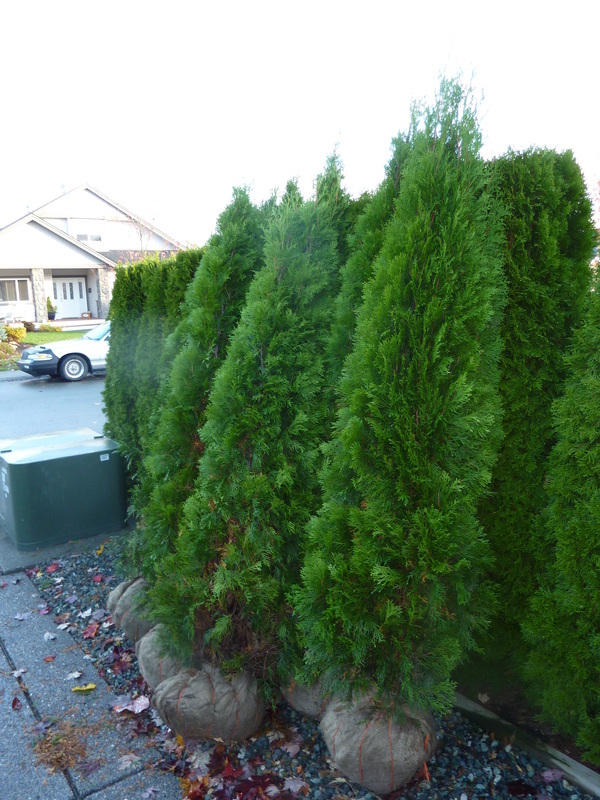 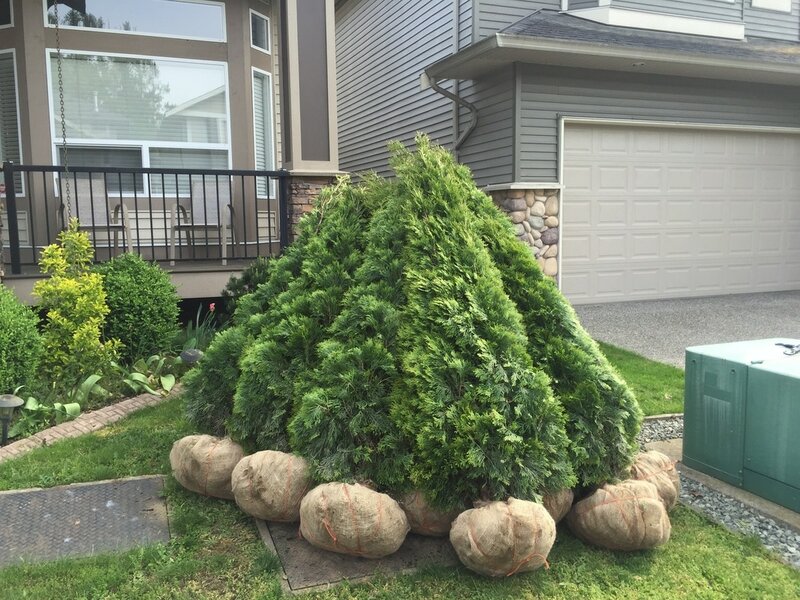 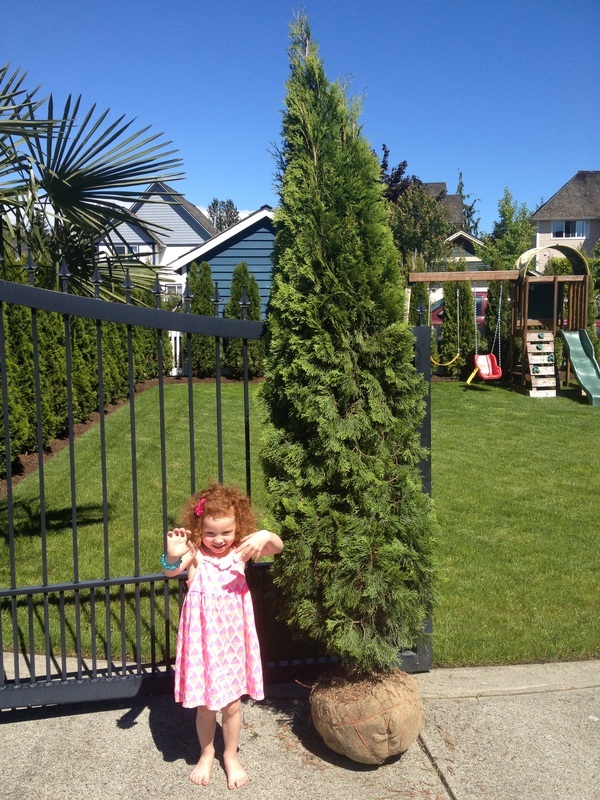 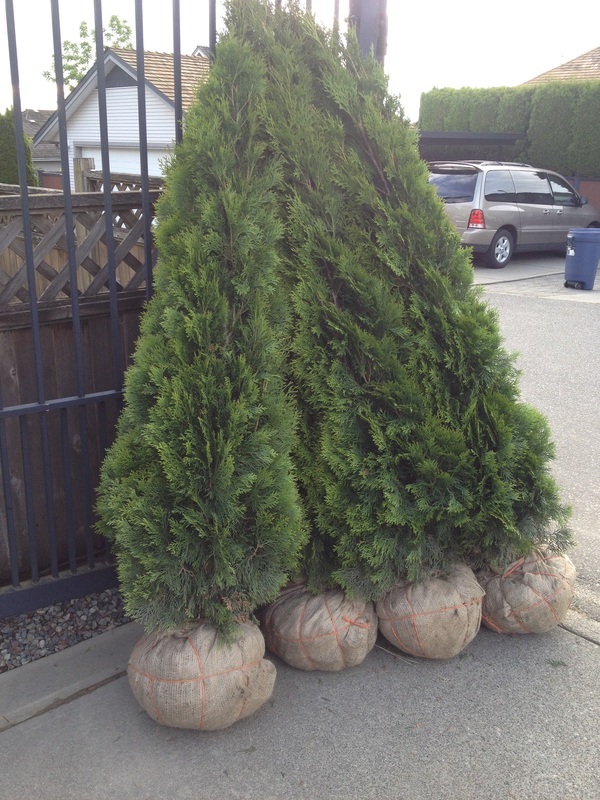 Planted in rows, Emerald Cedars make a beautiful, vibrant green, privacy hedge. 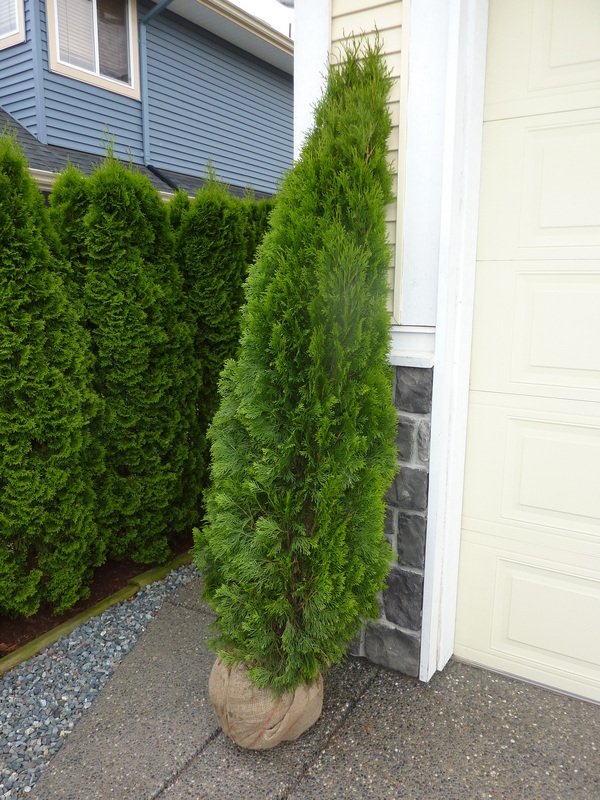 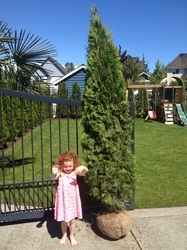 For optimal privacy, plant shrubs at 1.5-2 foot centers.